Spain Creek Bridge in Union County spans 64 feet, was built in the 1870s. The windows were added in the 1930s. Reuben Partridge didn't set out to become one of the most prolific bridge builders in Ohio, but that's the way he ended up. When Reuben was born back in Wilmington, New York, Ohio was just celebrating its 20th birthday. When he was 13 his father died and his mother decided to move the family to Marysville where one of her sons, Rowland, lived. Rowland was a fairly successful wagon maker, and young Reuben soon found that he like working with wood and putting things together. 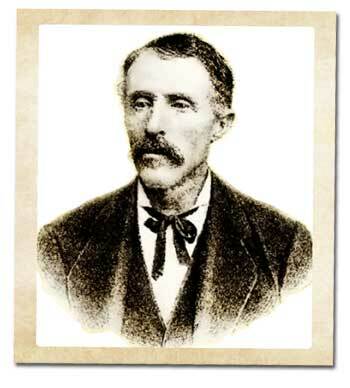 It wouldn't be until 1855 that Reuben Partridge built his first self-supporting bridge in Union County. By that time he was 32 years old, married to Maria Wolford. Over the next 45 years, Reuben would build over 125 covered bridges, most of them in Union County, Ohio. He patented the Partridge Truss in 1872. Most of Reubens 125 covered bridges have been lost to the ages. A few still stand and each year in Marysville, they have a celebration marking Reuben Partridge's contribution to the county with a Covered Bridge Festival. Today their are just 5 remaining covered bridges design and built by Partridge. Four of them are in Union County with the other in Franklin County. Pottersburg Bridge, built in 1868, is now located in a park in Union County. Union County has gone to great lengths to preserve Partridge's bridges where possible. As a recognition of the importance these bridges played in the development of Union County, a number of new covered bridges have been built in the county.